Remember the during the Build 2014 key note? One of the most interesting thing to me (beside Cortana, of course) is the awesome lock screen that would be compatible with Windows Phone 8.1. 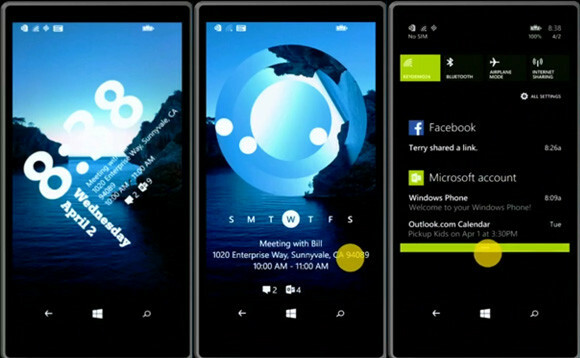 This lock screen app is the product from Microsoft and the well know developers in Windows Phone community, Rudy Huyn. Well, this lock screen app is one of the few things that Developers Preview does not show us. So, well will we see that app becomes available? Joe Belfiore got your answer. Today, on Twitter, he addresses the concern that many is worried that Microsoft has already forgotten about. The app (yes, this lock screen app is not a part of the OS) is nearly complete, and will become available as a beta sometimes next week or the one after that. For now, from this tweet, we know that this app is in English, and need 1GB of RAM or more to operate. And besides what we already see, Mr. Belfiore mentions that the company and Rudy Huyn have “added a feature.” Stay tune for more update! Lockscreen app- sorry for being quiet. The beta (English, 1gb+) is ALMOST here, perhaps a week. We hit a few snags & added a feature. Previous Google wants more effort from Samsung in making Android Wear wearable? Next Microsoft is canceling 3D Touch phone, a bad thing?